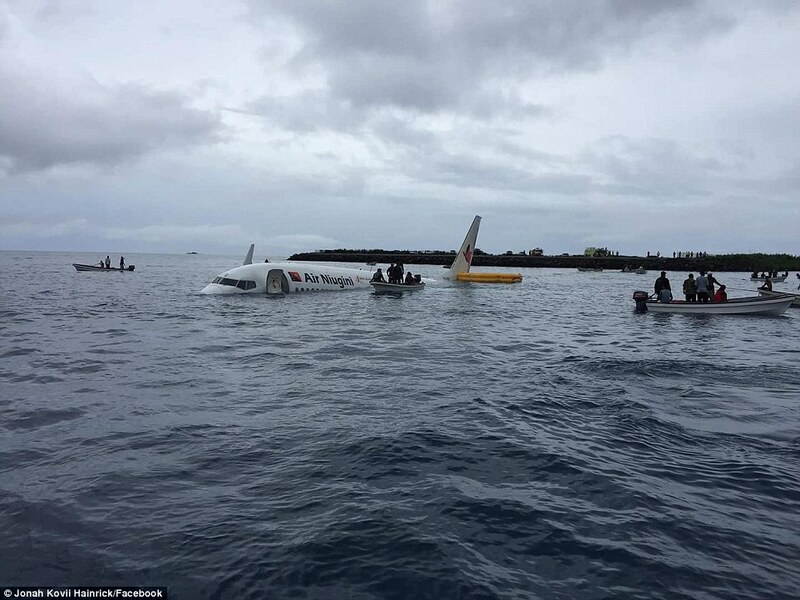 A plane which was carrying as many as 47 people has crash-landed in the ocean after overshooting a runway. 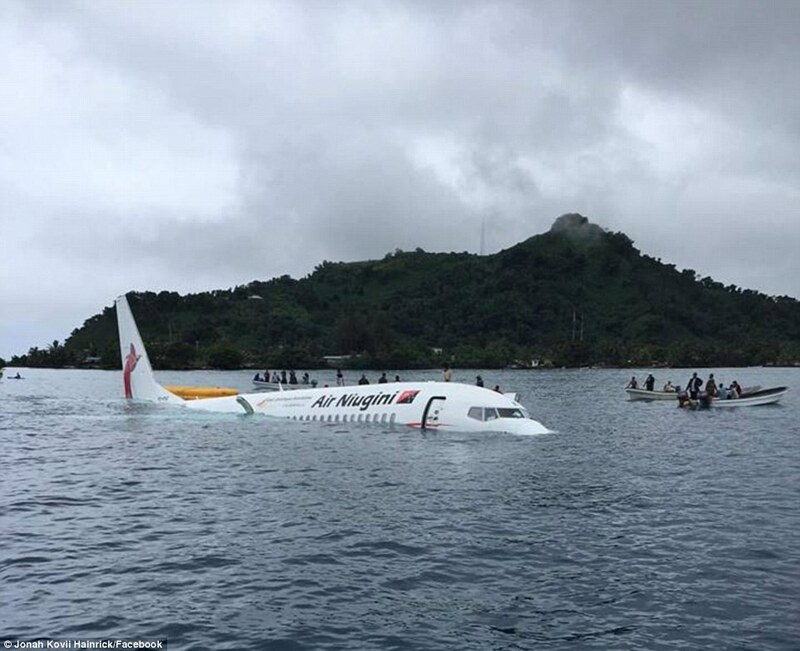 A plane has crash-landed in the ocean after overshooting a runway on the tiny island of Weno, north-west of Papua New Guinea. 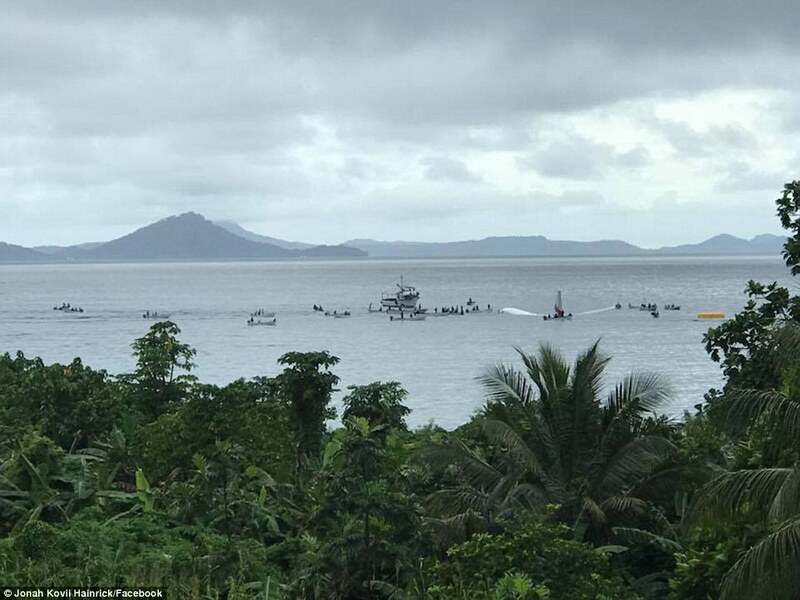 Local authorities confirmed the airliner – which was en route to Papua New Guinea from Micronesia – missed the runway and crashed into the water around 9.30am Friday local time. It’s currently unclear what caused the crash. 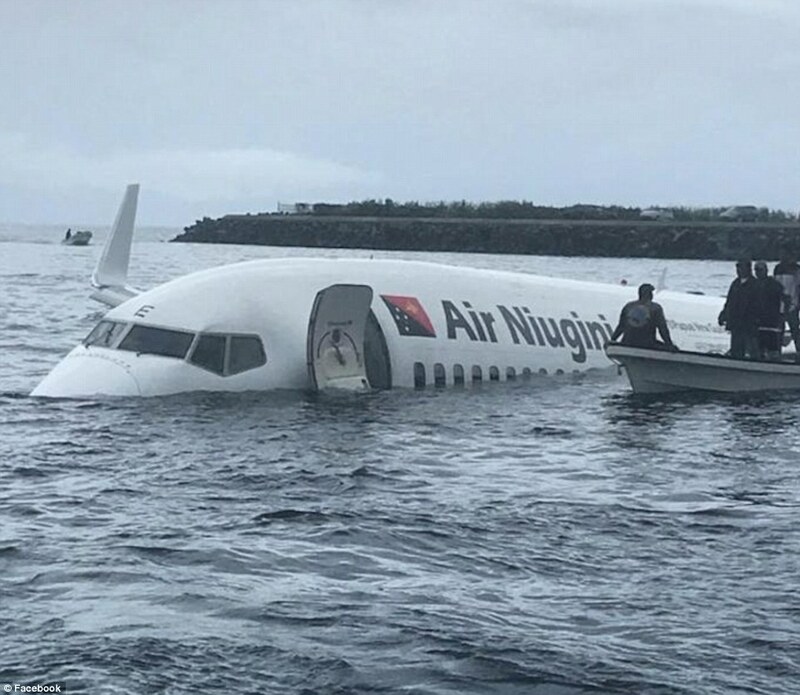 In a statement released on Facebook, Air Niugini say they have been told ‘the weather was very poor with heavy rain and reduced visibility at the time of incident’. Papua New Guinea Accident Investigation Commission are preparing a team to investigate the site of the accident. One of the videos posted to Facebook was by Bill Jaynes, an American passenger on the flight. He told Nine News he had been in waist-deep water on the plane. ‘I thought we landed hard, until I looked over to the side of the plane and saw a hole the water was coming in,’ he said. In the footage, he points to a cut in his forehead and says he’s just happy to be alive.